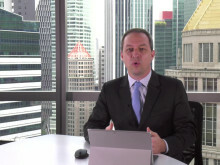 SINGAPORE, Friday, November 23, 2018 – Hong Bao Media (HBM), a leading provider of media and communications services founded by ex-CNBC anchor Mark Laudi, is thrilled to launch the new HBM Integrated Communications Centre today. 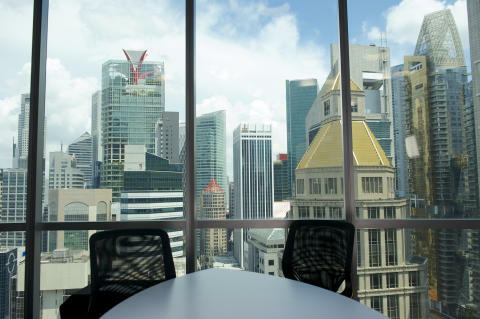 The purpose-built green screen TV studio and training facility features a 7m x 5m green screen studio suited for training, and for live webcast and broadcast, with a live shot of the Singapore skyline (photo). The training facility can cater to larger groups of senior business leaders for training and coaching in media skills and executive presence. "Video Savvy - Express course for marketers producing video" - How to stop your in-house video production becoming the content marketing project from hell (see separate announcement attached). "Big Data communications" - Turning often ambiguous or contradictory data analytics into action and business outcomes. "Comms training for Chinese mainland companies" - Coaching companies from the Chinese mainland in engaging the media in countries covered by the Belt and Road Initiative (see related content attached). To launch the new studio, HBM invited guests from the industry to an open house, punctuated by hourly live webcasts. These can be viewed here. 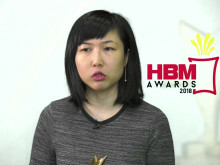 HBM also announced the winners of the Hong Bao Media Savvy Awards 2018 (see related content attached). The studio can also be booked by Conference Service Providers, television stations and professional video production companies.